The discipline imposed by Roger Goodell on Tom Brady and the New England Patriots over its deflated footballs scheme, often referred to as "Deflategate" might be an attempt for the NFL Commissioner to "make up" for the way he handled "Spygate," according to a new report in ESPN The Magazine. "Spygate," the 2007 scandal where the Patroits were caught videotaping signals by the New York Jets, culminated in a series of fines for the Patriots, including $500,000 for coach Bill Belichick, $250,000 for the team and the loss of a first round draft pick the next year. Sources told ESPN's "Outside the Lines" in 2015 that New England's videotaping program was much worse than reported. Those sources said the Patriots were recording the signals of opposing teams during at least 40 games from 2000 through 2007. ESPN's story, which interviewed more than 90 sources around the league, says Goodell knew he gave the Patriots too lenient of a punishment after "Spygate" and that he leveled a stricter punishment after the Patriots were found in 2014 to be deflating footballs as a makeup for the leniency 8 years earlier. The Patriots issued a statement responding to the ESPN story, and it takes issue with the details around ESPN's "Spygate" reporting. The statement, which does not address the idea that Goodell used "Deflategate" as a makeup for lax punishment in the past, says ESPN continues to base it's reporting about "Spygate" on an erroneous report from The Boston Herald in 2008. The Boston Herald offered the team a front and back page apology four months after publishing a critical story. Read the full statement here. "This type of reporting over the past seven years has led to additional unfounded, unwarranted and, quite frankly, unbelievable allegations by former players, coaches and executives. None of which have ever been substantiated, but many of which continue to be propagated," the statement continues. "The New England Patriots are led by an owner whose well-documented efforts on league-wide initiatives – from TV contracts to preventing a work stoppage – have earned him the reputation as one of the best in the NFL. 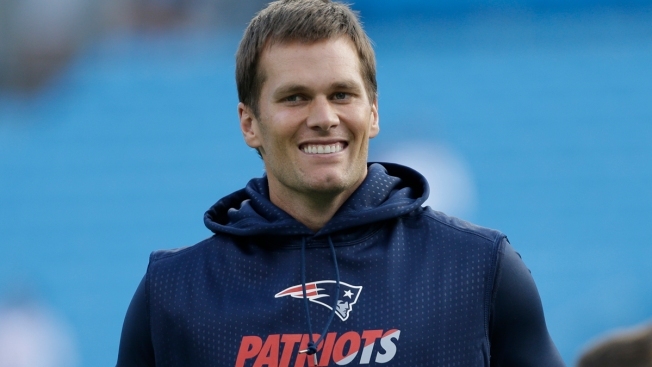 For the past 16 years, the Patriots have been led by one of the league’s all-time greatest coaches and one of its all-time greatest quarterbacks. It is disappointing that some choose to believe in myths, conjecture and rumors rather than giving credit for the team’s successes to Coach Belichick, his staff and the players for their hard work, attention to detail, methodical weekly preparation, diligence and overall performance." Also this morning, both Goodell and Brady took to the airwaves to give their take on the "Deflategate" controversy. Goodell went on ESPN Radio, where he commented on his current relationship with Patriots owner Robert Kraft. "Same as it's always been. We may disagree on this issue but Robert and I continue to have a very strong relationship," he said. "We continue to work on legal matters as an important to us we obviously disagree about this issue but there's a respectful disagreement about that and we continue to work on league matters and other matters necessary"
Brady talked about how he has grown as a result of the controversy during an appearance on WEEI Radio. "This has ben a different type of challenge in my life. It's been a different type of obstacle to overcome," he said. "Sometimes in life you think that the the hardest times are really the things you learned from the most." Brady said he has to put his feelings aside and go out and do his job. The Patriots kick off the regular season on Thursday night against the Pittsburgh Steelers.